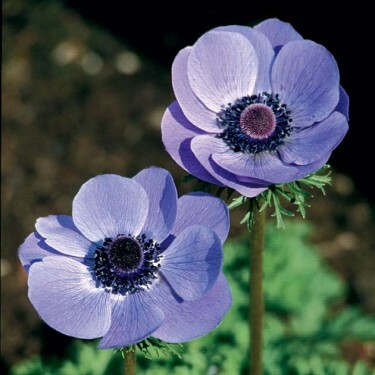 Revered in the paintings of many Dutch Masters, these rich sapphire blue flowers with their black centres will fill your garden with old world charm. Anemone De Caen 'Blue Poppy' do wonderfully grouped along borders where you need a splash of colour. Plant them in your cutting garden for a unique addition to your flowering bouquets. 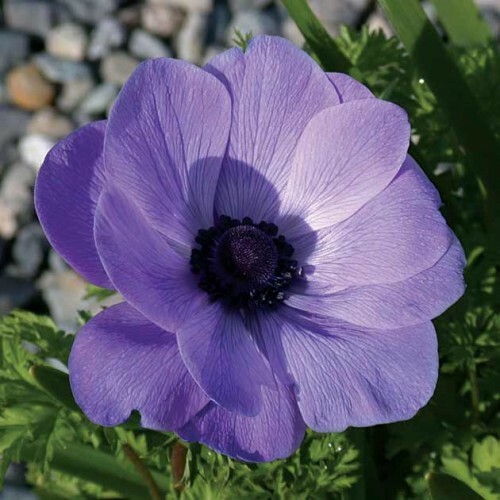 Anemones are also excellent when planted in rows in the flower or vegetable garden to be used for cut flowers. For best results make sure to soak the hard corms in water overnight before planting.